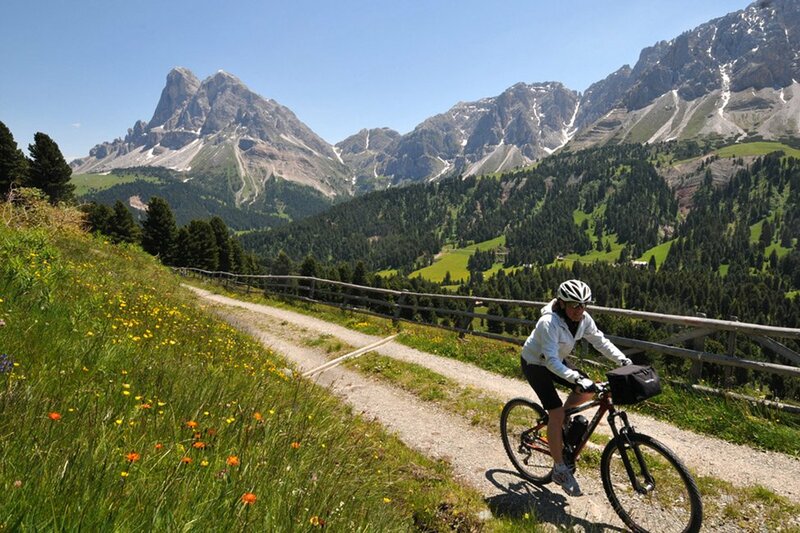 In the summer, many recreational activities await you in the alpine landscape of the Isarco Valley. There’s no space for boredom during your holiday in Bressanone/Plose, because gorgeous hiking and biking trails as well as plenty of entertaining outdoor activities are offered. A sundry family excursion awaits you on the Woody Walk. 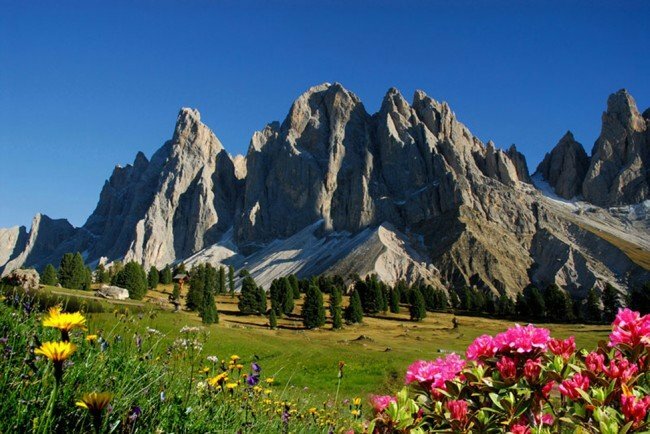 The panorama path is suitable for pushchairs and offers stunning views of the Dolomites with Sass Putia and the Odle Group. Different stations along the way make the hike fun and invite you to relax and play. During your holiday in Bressanone/Plose, take a hike on the high alpine trail of Bressanone that leads back to the lodge Ochsenalm and back. Very fit hikers can choose the more challenging trail number 6, which in a large arc leads directly to the farm Kaserhof. 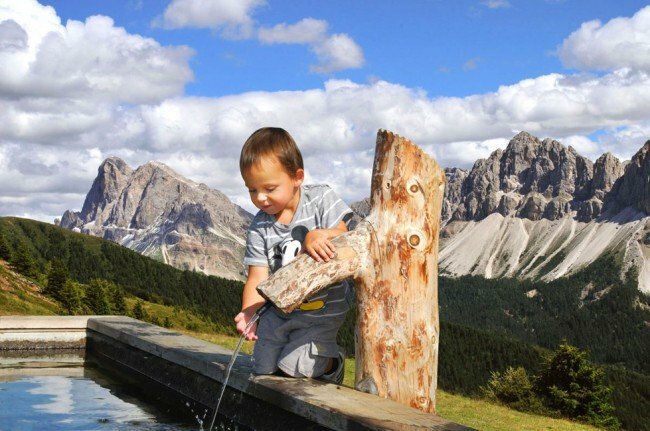 The high alpine trail of Bressanone is a family-friendly path. From Val Croce a slightly more strenuous, yet stroller-suited panoramic path leads to the lodge Rossalm. After about an hour walk you will find a beautifully landscaped playground where your children can romp freely. The sun terrace offers stunning views of the mountains. 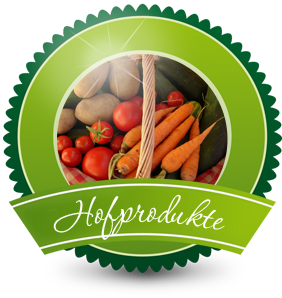 To recover from the hike you can enjoy hearty South Tyrolean snacks or delicious local dishes. Real adventurers during their holiday in Bressanone/Plose cannot miss a tandem paraglide flight – enjoying the fresh breeze and the breathtaking view of the valleys and mountains from the air. Tandem flights are offered throughout the year. A ten-kilometre railway go cart track twice a week from Val Croce guarantees fast fun. The thrilling downhill race in fresh mountain air through the spruce forest is a leisure activity for the entire family. For cooling off on hot summer days, visit the adventure pool “Aquarena” in Bressanone. The facility is open 365 days a year and with the BrixenCard you may enjoy daily three hours of free entrance.